The USA is famous—infamous, maybe—for dramatic elections. It’s quite common for dissatisfied people to threaten to leave the country because their candidate of choice wasn’t elected. As I write this, the day after the 2016 elections, it is a particularly difficult morning because the will of the voters is drastically different than what so many people expected to hear. If you are among the voters who are looking at four years of leadership from someone who didn’t earn your support, take heart: the United States of America is a wonderful country no matter who won the election. The best part of living in the USA is the opportunity to be part of an ongoing dialogue of change and advancement, and we need every voice to keep that tradition alive—and that’s one reason moving overseas fulltime is not part of our plans. But if the results of the elections have you thinking about fleeing until things calm down or until 2020 (whichever comes first! ), here are some of the places we have visited and loved that would be on our short list for living abroad. Beach lovers, foodies, wine lovers. Something you probably don’t know about Adam is he hasn’t always been a courageous world traveller; in fact, he hated our first overseas trip so much he swore off international travel for good. The country that changed his mind was Australia, which we visited for two weeks for our honeymoon. It’s easy to make comparisons between Australia and the United States. On our first day, as we walked through Sydney’s beautiful cityscape, I noted that it looked a bit like an east coast city but had a definite west coast feel. The people were warm and friendly, English is the national language, and the dollar (albeit it the Australian one) is the national currency. In a way, it felt like all of the best parts of the USA were captured and enhanced in Australia. 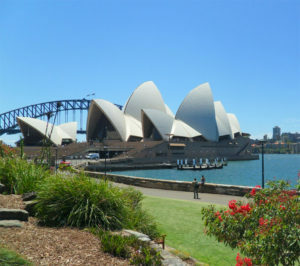 If you are looking for a place that feels a lot like home, Australia is a great starting point. We visited Sydney, Cairns, and Melbourne, and what we learned is that no matter where you are there are lots of fun things to do. We loved Sydney’s culture; from the iconic opera house to the street performers at Circular Quay, we packed every day with opportunities to learn and connect with the city. Cairns helped us to relax and soak in the coast’s natural beauty, especially when we visited the Great Barrier Reef. Melbourne was a true international city with access to incredible cuisine and a memorable wine country. Australia is loaded with bugs and animals that want to kill you. From snakes and spiders to jellyfish and crocodiles, you never know what might cross your path in the land down under. Another surprising danger is the sun; many people don’t realize the strength of the sun changes depending on where on the globe you stand, and it’s very strong in Australia, especially during the summer. Adam laid in the sun for half an hour without sunscreen while at a resort in Cairns, and his punishment was a serious sunburn that left him looking like a tomato and feeling like a layer of skin had been seared off. Also worth noting is Australians drive on the “other” side of the road, so driving (and crossing streets) can take some getting used to when you aren’t used to cars approaching you from the right. Warm weather fans, multiculturalism, urban living. We loved Singapore almost instantly. It’s a beautiful, modern country with lots of tall buildings that will remind you quite a bit of some of the bigger cities in the United States. Another country that uses the dollar (the Singapore dollar, that is), we felt very much at home with lots of the conveniences we’re used to having when we’re not on the road. English is not the official language, but it is widely spoken. For us, Singapore started and ended with the food. Skipping most of the restaurants, we focused on the markets and food stalls with local, authentic cheap eats you just can’t find anywhere else. Singapore is a fusion of several cultures, and you can experience them all through food. Local attractions like the Gardens by the Bay are fun to explore, and we had a nice time people watching by the Merlion statue at the Singapore River. The city is clean and efficient; you won’t find trash littering the streets, cars are never more than ten years old, and the MRT—the subway system—is air conditioned and reliable. Singapore is not for rule breakers. You have probably heard that things like chewing gum and jaywalking are illegal, and that’s true; infractions can lead to fines, jail time, or deportation. There is a zero tolerance policy on drug use or distribution, and drug crimes can be punishable by death. 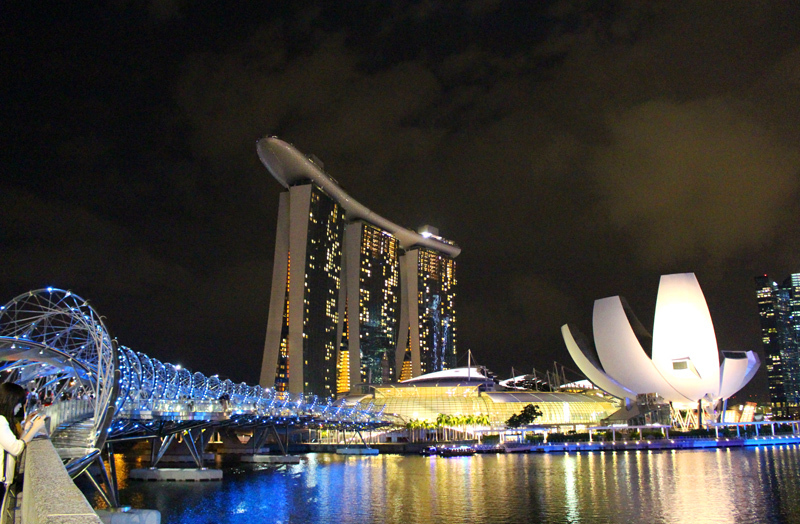 Climate-wise, Singapore is hot and humid, and it can take some time to acclimate. I didn’t hydrate enough during my first day, and I was very sick by the time I went to sleep that night. Technology aficionados, cold weather fans, nature lovers. When I visited Estonia a few years ago, I remember laughing as our tour guide quipped it should be called E-Stonia to pay homage to the country’s love of technology. Much like the USA, Estonia is progressive when it comes to incorporating technology, especially when it comes to high-speed internet. 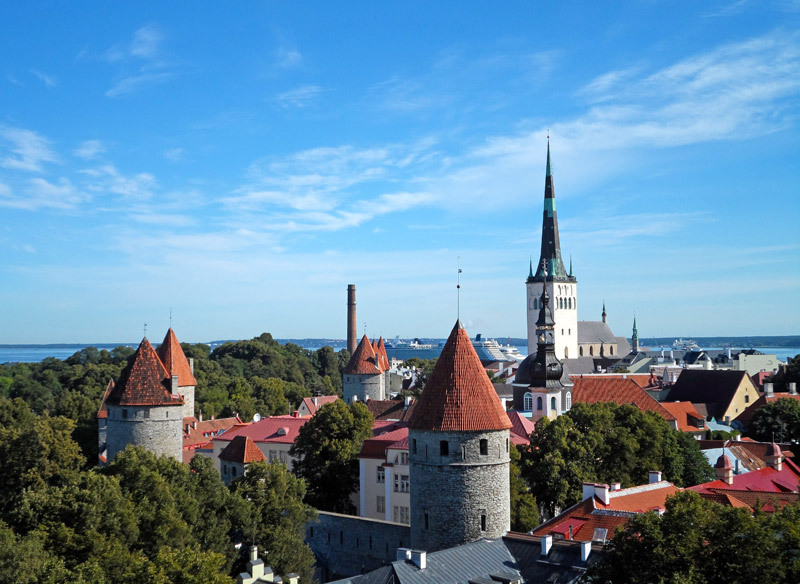 It comes as no surprise that Estonia boasts one of the most start-up friendly environments for businesses in Europe and the world. Estonia is beautiful and full of history. Tallinn looks a bit like a medieval Disneyland park with its well-preserved castles and architecture. It would probably be impossible to get tired of looking out at the city every day. Crime is low, and nature is all around; the country is full of green spaces, which makes it an easy country to relax and find your focus. Compared to other places in Europe, cost of living can be low. And the people were very friendly! Estonia can get cold—really cold—in the winter, so if you aren’t a fan of heavy coats and hats this might not be the place for you. Sunlight is also a factor; because of how far north the country sits, winters are dark with limited sunshine, which can be a major concern for many people. Estonian is the national language, so while English is also spoken, it would be a good idea—maybe even necessary—to learn the local language as well. Foodies, wine and beer lovers, nature lovers. Not one of the most well-known countries, it might surprise you to see Slovenia as a place we think would make a good home. Positioned among some of the countries you likely do know—Italy, Austria, and Croatia are all neighbors—it is a perfect home base for people who want to explore Europe. English is widely spoken, so while learning the local language is advisable, the communication barrier is lower than some other places. One of the best parts about Slovenia—especially Ljubljana—is the food and wine. In the United States, one of our favorite things to do is check out new wineries and craft breweries, both of which are rapidly popping up all over the country. We felt at home in Slovenia, where local wine and beer are just as good as what we have found at home. The food scene is just as exciting; the food tour we took earlier this year introduced us to some delicious locally sourced ingredients that created some truly memorable meals. Slovenia is a beautiful country, and nature lovers will feel at home in the gorgeous scenery. Lake Bled is easily one of the most picturesque places we have visited, and the small country is full of castles, lakes, and hills for hiking and exploring. Engaging in physical activity like jogging and biking outside is common, and you won’t be alone as you embrace healthy habits. If you love big, fast-paced cities with lots of cultural diversity, you won’t find that in Slovenia. The country certainly has a more laid-back, quiet pace, so look elsewhere if that’s not your preference. Slovenia isn’t a landlocked country, but coastline is limited, so you’ll want to look to another country if warm weather and beaches are a priority for you. Pub culture, history buffs, stunning scenery. 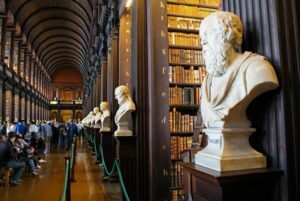 Ireland is popular with visitors from the United States for a reason: it’s not that far from home, they speak English there (with great accents! ), and it’s the home of Jameson and Guinness. Dublin is a lively city where you’ll find a pub on every corner and a great pint behind every bar. Leave the city behind for lush, green hills, beautiful castles, and rocky coastlines that are unparalleled anywhere else in the world. The food there is great, and it’s much more diverse than fish and chips and beef stew. Also, the recipe for Guinness is different in Ireland—while I am not a fan of Guinness at home, I couldn’t get enough of it in its homeland. Ireland is on the Euro, which means comparatively it’s more expensive than in the United States. The weather can really take some getting used to; it rains most days, and more often than not the rain trades places with the sun multiple times a day. If predictable weather, lots of sunshine, and warm weather is important to you, Ireland will not be a good choice. While there’s nothing like a good election to get people thinking about what life could be like outside of the United States, if you find yourself seriously considering a move there is a lot more to think about beyond the characteristics we have found most desirable in our travels. Cost of living, employment opportunities, and health care are just some of the variables that will impact your decisions. We have no plans to move away from the USA, but it can be a lot of fun to imagine what it would be like to experience a different way of life for a while! If you were to consider a move to another country, where would you go? Let us know— we would love to hear about it (and daydream with you! ).